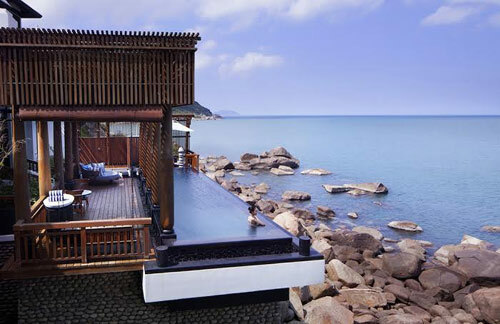 VietNamNet Bridge – Sun Group’s InterContinental Danang Sun Peninsula Resort has added to its long list of awards by winning the “Best Resort Hotel in Asia-Pacific” title ofthe prestigious magazineBusiness Traveler. 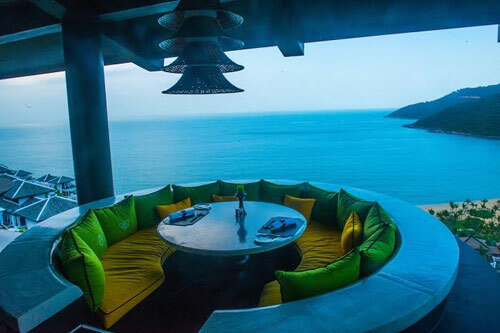 The Vietnamese resort received the title at a ceremony hosted at Conrad Hotel Hong Kong last week, aftersurpassing tough competitors from regional luxury resorts, such as AlilaSeminyak Bali in Indonesia and Four Seasons Samui on KohSamui Island in Thailand. “We feel extremely honored and humbled to have won this prestigious award and to be recognized by the readers of Business Traveller,” said Mr. Juan Losada, the resort’s general manager. “Five years after the beginning, we have firmly established ourselves on the global luxury market, and we want to say thanks to our guests as well as to our colleagues for flawlessly executing our company’s vision,” he said. Praised as one of the most anticipated events in the travel industry, the Business Traveller Asia-Pacific Awards recognize the achievements of airlines, airports, hotels, and resorts that have gone an extra mile to offer unique travel experiences. Now in its 25th year, the awards identify the hospitality industry’s very best in product and service excellence, as recognized by the magazine’s subscribers, coming from the whole spectrum of stakeholders: experts, travel agencies, and tourists alike. Decorated with wooden furniture and handmade silk and craft art pieces procured from Vietnam’s many localities, every inch of this luxury resort is proof to the genius of star architect Bill Bensley. A testament to the resort’s unique design and concept, the resort has welcomed a veritable army/host of high-profile guests, including politicians and celebrities throughout the years. Earlier InterContinental Danang Sun Peninsula Resort made it into CNN’s list of the 21 Most Beautiful Beachfront Hotel in the World. Its exquisite Harnn Heritage Spa is the proud holder of the 2016 World Spa Award. Its restaurant LaMaison 1888 was voted by CNN as one of the ten most beautiful restaurants in the world. The resort also won the World’s Leading Luxury Resort 2014 and 2015 by World Travel Awards, World Luxury Spa Awards, World Luxury Hotel Awards, Smart Travel Asia Reader’s Choice and many otherprestigious awards. These accolades have helped put Danang on top of any list of famous global destinations, and reaffirmed developer Sun Group’s commitment to make Vietnam a sought-after tourism destination over the world.